A wall mural adds a touch of magic to any home. Here's how one artist makes it happen. It’s often said that nothing reinvents a room like paint. Well, that’s especially true in the case of colorful murals: These eye-catching wall paintings can brighten up a child’s bedroom, breathe life into a living room, or turn a dour kitchen into a playful enclave. 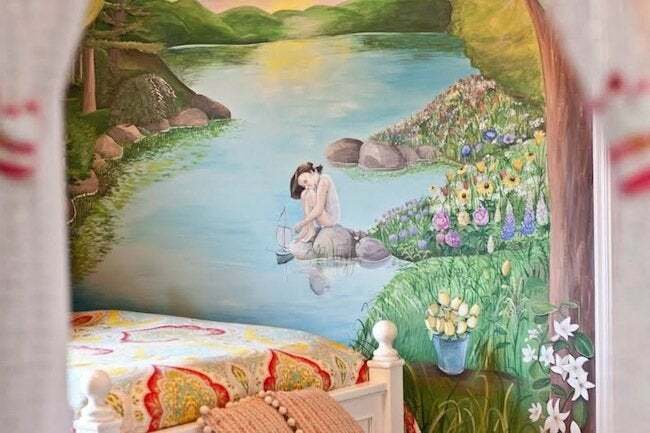 Although there are plenty of homeowners who would love to enjoy a mural in their own spaces, most wouldn’t attempt one by themselves. That’s where an expert like Beth Snider, muralist at Penelope in My Pocket, comes in. 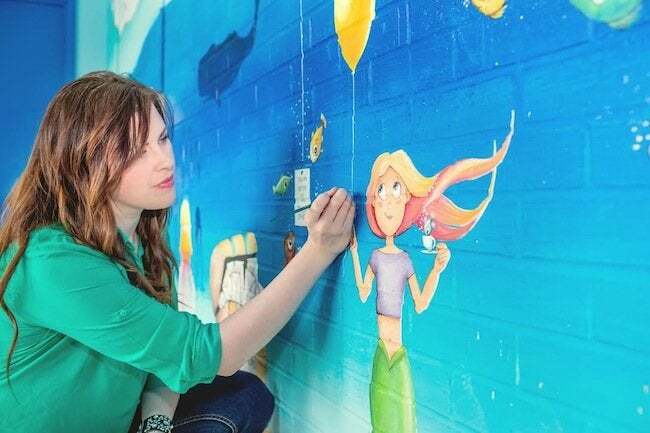 This Kansas City, Missouri, artist creates one-of-a-kind indoor and outdoor murals on commission, bringing her clients’ imaginations to life in the process. Read on to get a glimpse into the mind behind these spectacularly fun designs. How did you get your start as a muralist? I was already doing a lot of custom paintings on canvas. 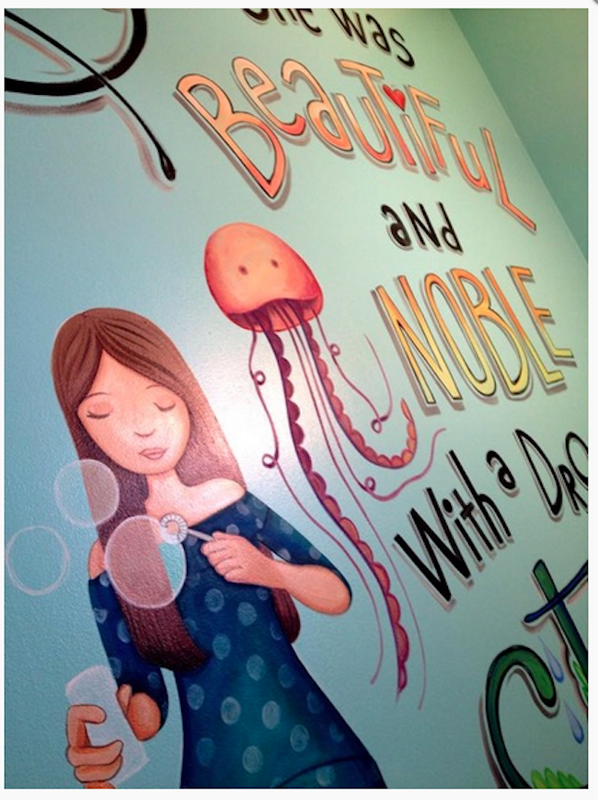 As people saw my artwork, I began to receive requests for murals in kids’ rooms. It blossomed from there, and the diversity of mural commissions increased to other rooms in the house as well as businesses. A family gave me an opportunity to draw on a large chalkboard in the entryway of their home. Every month I would feature a new theme, whether it was a holiday or a birthday, and I would erase the elaborate chalk drawing from the month before. I did this for years and literally drew the kids as they grew up. (I even designed their birthday invitations over the years!) What I will always appreciate is that they saw my potential, compensated me generously, and delighted in every new idea I came up with. Watching their reactions to my newest creations was so fun. It made me believe that I could do anything! Did you study art at school ? I am a self-taught artist. I have always been artistic from a young age, but making a business out of it came later. When I first started out, there was another artist I knew who had a business doing murals, and I was able to sit down with her on several occasions to pick her brain about how she turned her art into a business. So, did you grow up in an artistic home? Yes! Both of my parents have a mix of skills that led to my love of art. My dad is a carpenter who makes beautiful acoustic guitars by hand and restores all kinds of antiques. And my mom has always been amazing at figure drawing and sewing—she’s the one I go to for advice on my paintings. She also dabbled in writing children’s books, which inspired my lifelong dream to illustrate a children’s book. I just recently finished a year of work on my very first book project, and it will hopefully be available at the beginning of 2016. How do you prepare to paint? Are there special tricks you’ve picked up along the way? I prepare to paint by asking lots of questions. 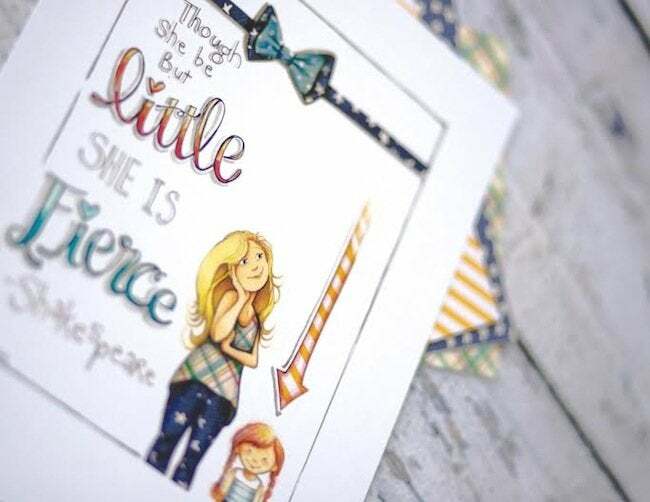 My motto is, “You imagine it…I create it!” I like to think that I am lending people my hand and allowing them to have what they would paint if they could. Even if I am given a specific photo to paint from, I oftentimes go through a client’s photos on their Facebook page (with their permission, of course) to get an idea of what a person looks like from every angle, with a variety of facial expressions. The more I know about a person, the more I can make their art piece personal and customized to them. My favorite piece of advice, though, comes from a photographer and watercolor portrait artist I work with: Use the biggest brush possible at all times, so that the art looks effortless and not forced. I am inspired by my kids’ imaginative perspectives on life. Not all the artwork I do is for children, but it is almost all very colorful and whimsical. Having four creative kids helps me to see the world in a fun way and translate that feeling into most of the art that I produce. How can folks cherish the memory of an old mural even if they’ve chosen to paint or wallpaper over it? I have added to and painted over murals before. Sometimes it is because a child grows older and the theme of the room changes, or to prepare a house for being sold. I would recommend getting some professional photos taken of your mural before you paint over it. Another way to preserve the memories of your mural is to have a smaller version painted on canvas. 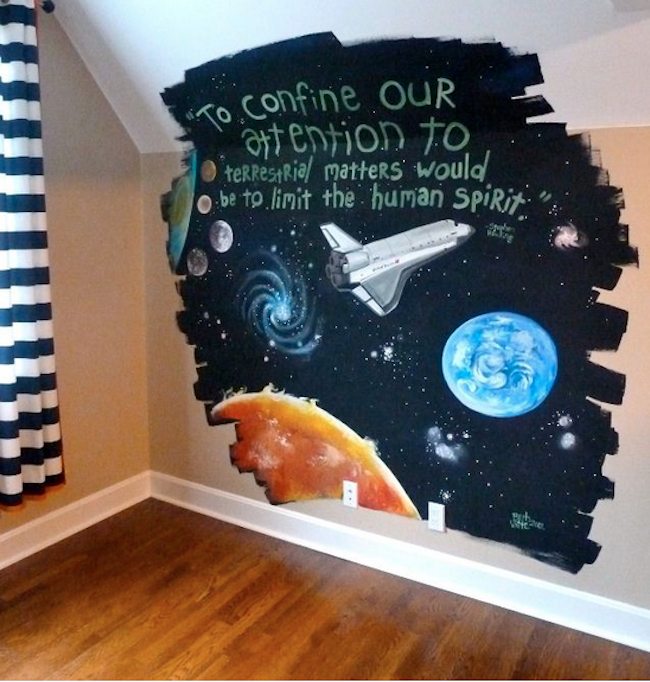 Do you have murals on display in your own home? 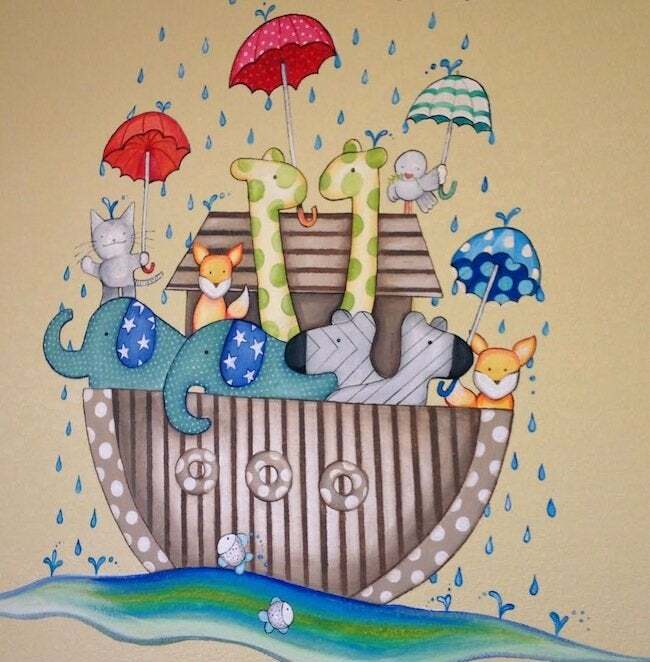 I have painted several murals in my kids’ rooms over the years! As they grow bigger, I have changed the theme of their bedrooms and have since painted over them—everything from a farm scene, to a tree with shelves for the branches, to a splatter-painted skateboarder. You can learn more about Beth Snider’s work on Facebook, or find her prints on Etsy.